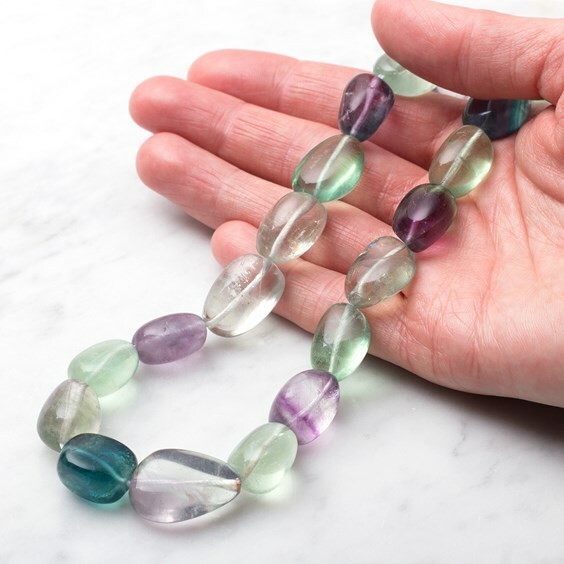 For those of us who like to make a statement and stand out from the crowd a little; these chunky rainbow fluorite nugget beads will certainly do just that. 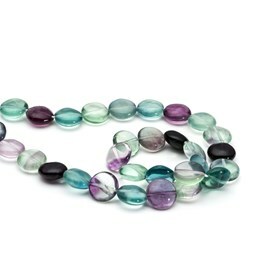 Cool aqua greens and tones of purple, violet and clear all in funky bubbles of colour. 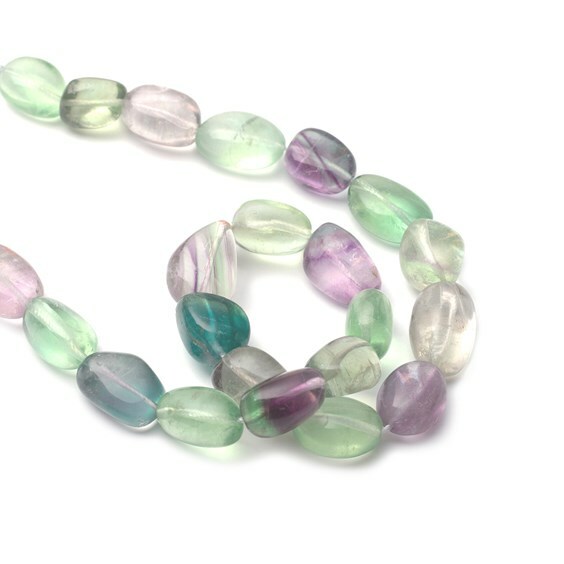 These larger than life beads will make a great necklace or a really chunky bracelet (bear in mind however that fluorite is a soft stone and will bruise easily). 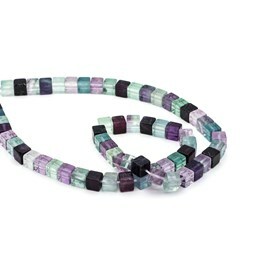 Beads measure approximately 18x13mm but do vary as they are hand-cut, which adds to their appeal. 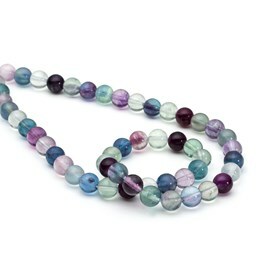 A 40cm strand contains approximately 20 beads. 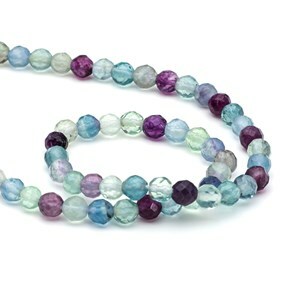 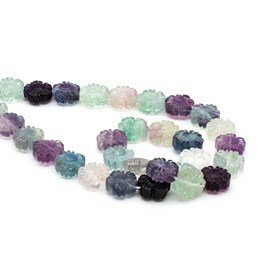 When you buy these beads by the strand you save approximately 23% compared to the loose bead price!